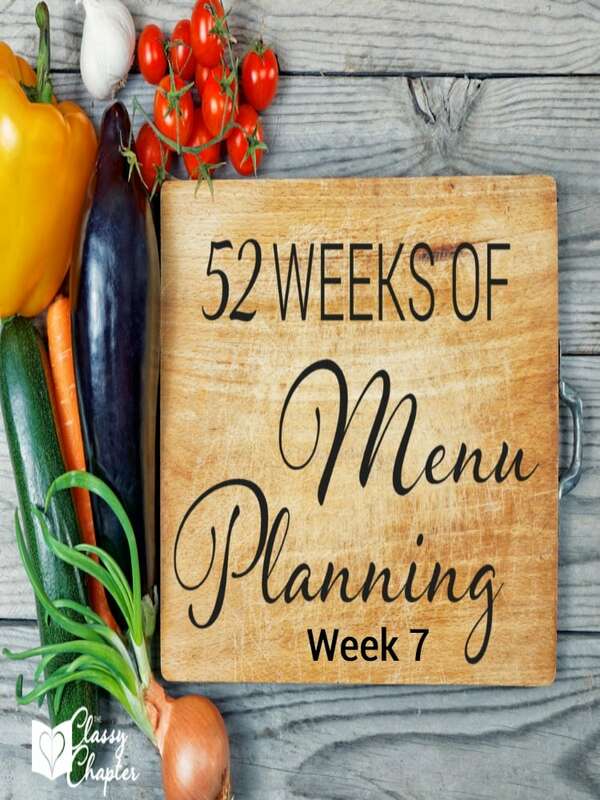 Meal planning has been getting easier and easier for me. My bank is also appreciating the effort I’m putting in. When you’re a busy mom having a plan in place at dinner time really helps take away some of the dinner time stress. This week I’m excited to share some amazing recipes from some of my favorite bloggers. You’re going to love the selection of recipes this week! 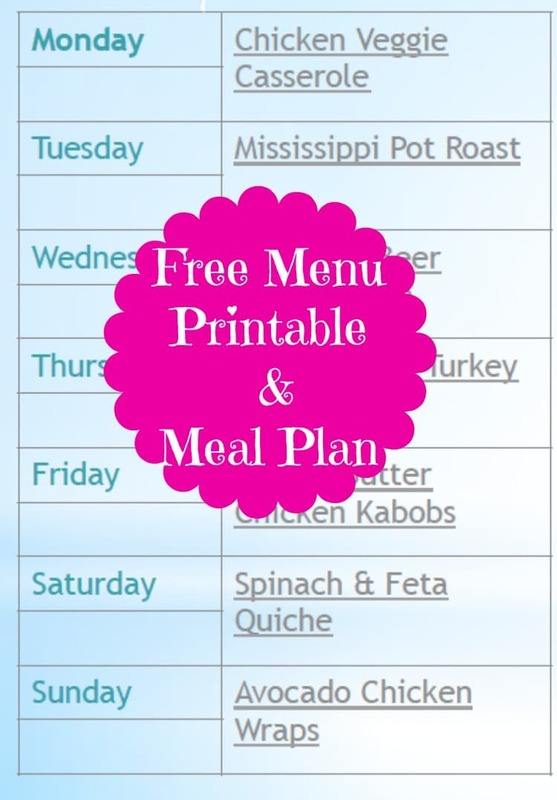 There is something for everyone on this week’s menu. Don’t forget to download your free printable! Monday – Chicken Veggie Casserole I’m always looking for ways to get my kids to eat more vegetables. This dinner seems like the perfect way! I’m 100% positive my kids will eat this dinner up. Tuesday – Mississippi Pot Roast This dish sounds amazing! I’m so excited to give it a try and it’s a crockpot recipe. Wednesday – Louisiana Beer Cheese Soup This soup is loaded with flavor and goes great with homemade pretzels. Thursday – Simple Roast Turkey I love turkey year round and I’m always on the hunt for a tasty turkey recipe. This one is spot on. Friday – Peanut Butter Chicken Kabobs I’ve actually never tried chicken and peanut butter but it sounds amazing and here in California we love to grill all year long. Saturday – Crustless Spinach & Feta Quiche Feta is one of my favorite cheeses so this recipe automatically appealed to me. Sunday – Avocado Chicken Wraps Avocado is one of my favorite things to eat! These chicken wraps look amazing! I’m a huge fan of wraps for dinner. For more tasty recipes make sure to follow me on Pinterest!